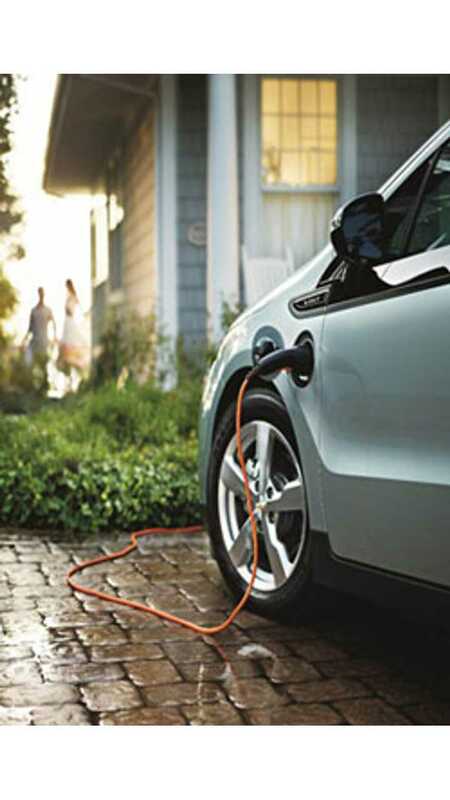 New battery technology breakthroughs appear almost daily it seems, but this latest development done by the University of Waterloo and General Motors seems promising. The research focused on Si-based anodes for li-ion batteries, which as we know have high capacity, but are not too durable. The team from the University of Waterloo boosted performance by adding a new process called Flash Heat Treatment. According to the study, treatment at 900°C for 20 minutes makes the anode material more durable and able to last 500 cycles (or perhaps more, as the graph does not show a high rate of fall off) without too much capacity fade at 1C currents (1-hour currents). 1C isn't a big deal for EVs, but with at least 2 times more energy in the same mass, they are still an attractive option for some automotive applications. "A novel, economical flash heat treatment of the fabricated silicon based electrodes is introduced to boost the performance and cycle capability of Li-ion batteries. The treatment reveals a high mass fraction of Si, improved interfacial contact, synergistic SiO2/C coating, and a conductive cellular network for improved conductivity, as well as flexibility for stress compensation. The enhanced electrodes achieve a first cycle efficiency of 84% and a maximum charge capacity of 3525 mA h g–1, almost 84% of silicon’s theoretical maximum. Further, a stable reversible charge capacity of 1150 mA h g–1 at 1.2 A g–1 can be achieved over 500 cycles. 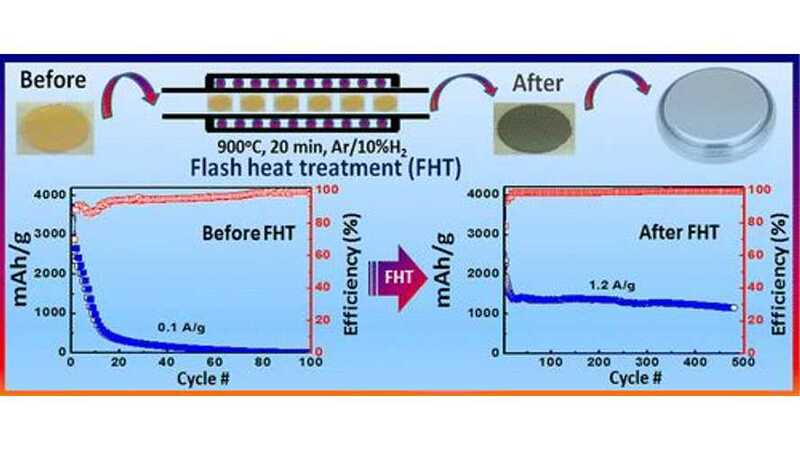 Thus, the flash heat treatment method introduces a promising avenue for the production of industrially viable, next-generation Li-ion batteries." We don't know if this really works in the real world or if this is a viable method, but Flash Heat Treatment is an interestingly simple development. Hopefully, longer range, cheaper EVs are just around the corner, but way back in 1908 Poynter W. Adams hoped for that too.